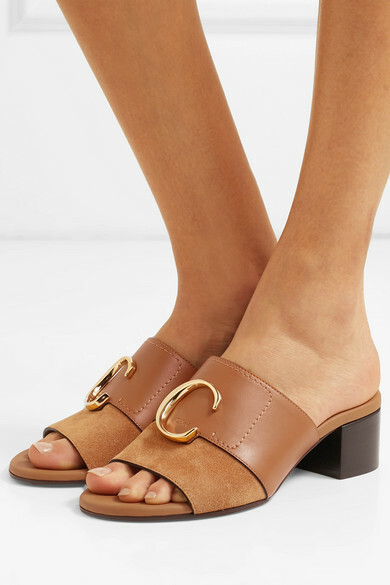 Chloé's new 'C' logo made its debut on the Spring '19 runway - it takes cues from the brand's equestrian heritage, which is why the letter slightly resembles a horseshoe, too. 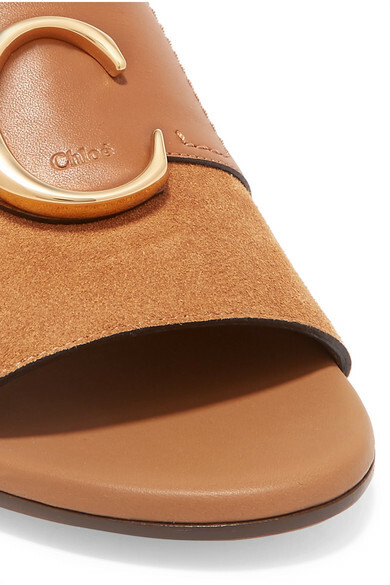 Topped with a gold plaque, these mules have been crafted in Italy from light-brown leather and suede. They're set on comfortable block heels. Shown here with: Chloé Skirt, 3.1 Phillip Lim Top, Chloé Shoulder bag, Leigh Miller Earrings, Laura Lombardi Bracelet, Laura Lombardi Ring.